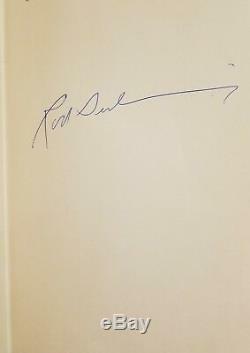 The Season to Be Wary by Rod Serling Signed First Edition 1967. Book Condition: Very Good Plus - A firm square signed copy with minor bumping to cover board top edge and a few very faint spots of toning to the fore edge. Dust Jacket Condition: Very Good Plus - A bright dust jacket with a quarter-inch chip to the spine back corner and some rubbing to the red letters at spine base. Publisher: Little, Brown and Company. Features: Signed by the author Rod Serling on the front free endpaper. A collection of three novellas by the creator of The Twilight Zone. 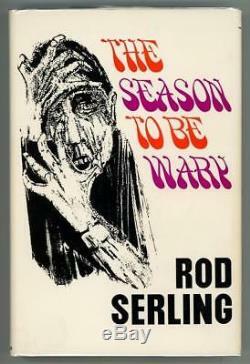 The item "The Season to Be Wary by Rod Serling Signed First Edition" is in sale since Thursday, August 3, 2017. This item is in the category "Books\Antiquarian & Collectible". The seller is "pulp2515" and is located in Fort Lauderdale, Florida.